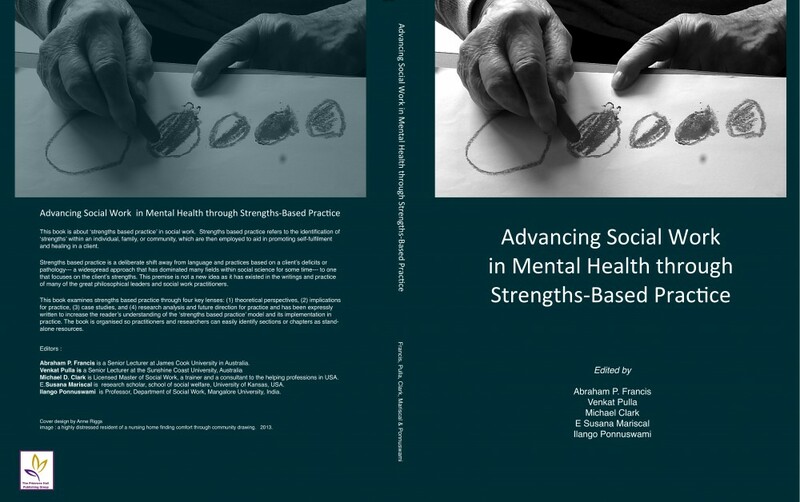 Coping and Resilience are explored from diverse perspectives as chapters were contributed by practitioners and academics from across the globe. This world-view opens up a broader discussion for the caring professions, and I believe will be especially useful to help students grasp a deeper understanding of some pressing issues. I was honoured to be accepted as a contributing author to this book. My chapter : Out of the Shadows, Into the Light, describes the transformative processes of participating in arts practice for victims of abuse. The integrity of the Institute of Strength Based Practice was seen in action when I was invited to design the front cover using an image from one of our projects. The chosen cover showcased a stunning mosaic created by Gayle Koubwere – a participant on a 2012 arts project for victims of abuse. The inclusion of Gayle’s work – a beguiling half face of a woman adorned with flowers behind her ear – brought vitality to the cover, as it also brought vitality to the maker of this artwork. It was truly an example of her coming out of the Shadows and into the Light. Moved by the news and stories of the difficult lives of Afghan people, and especially women, artist and dear friend Gali Weiss responded by collecting together a group of Australian women artists to create a series of artists books. These would be sent somehow to Afghan women in Afghanistan as a gift and as a gesture of solidarity: with a message that we were conscious and empathetic of their plight. Over the years the project has grown from an idea, to an engagement with the women in Afghanistan, to exhibitions, conference presentations and now the publication of a most beautiful book TWO TREES. Community work: Theories, experiences and challenges (2014).